1Temporary pain can be experienced after tooth whitening procedures and is treated with over the counter painkillers. 2Dental erosion, or the loss of tooth enamel, can also cause sensitivity. Enamel is the hard outer coating of a tooth that protects the sensitive dentine underneath. 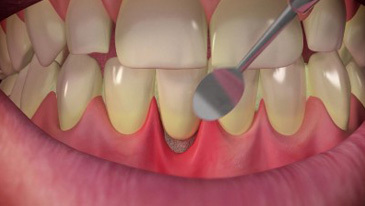 If enamel is worn away or eroded, this dentine is exposed which can lead to pain and sensitivity, which can be worsened with extreme temperatures. 3Erosion can be caused by your diet (frequent consumption of high sugar or high acid food or drink), tooth brushing habits (brushing too hard), tooth grinding, certain medical conditions and eating disorders.